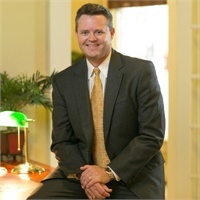 Jimmy Nelson, U.S. Navy Veteran and President of Nelson Financial Strategies, works with individuals, families, and family businesses to provide financial planning solutions based on each client’s distinctive circumstances. Knowledge, trust, and honesty are foundational to his business philosophy. Having begun his financial advisory career in May of 1988, Jimmy prides himself on his advisory experience. As a CERTIFIED FINANCIAL PLANNER™, Jimmy offers a comprehensive approach to determining the planning strategies he recommends. Additionally, the strategic partnerships he’s developed with legal and accounting professionals afford his clients the opportunity to broadly address their concerns. A sixth generation Floridian, Jimmy grew up around his family's funeral home businesses, which date back to 1923. 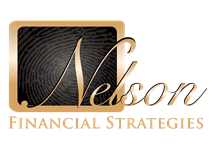 A significant part of the services provided by Nelson Financial Strategies involves the management of prearrangement programs for several funeral homes located in Central Florida. This in turn has led to a keen appreciation for the financial planning needs experienced by the surviving family members of loved ones who have passed away. Due to Jimmy's respect and passion for U.S. military veterans, Nelson Financial also assists veterans and their families with applying for non-service connected disability and VA Cemetery benefits. Jimmy’s dedication to a family-oriented, caring business mirrors his dedication to his top priorities at home: his beloved wife, Kelly, and his wonderful daughters, Kristin and Maggie.